This short four-minute video that Matt Brandon and I made about the GFX 50R for Fujifilm gives a really good idea of what you can expect from this workshop. Check it out. Please note that in order to maximize valuable shooting time, we will be flying into and out of Arba Minch instead of driving there as we did in the video. 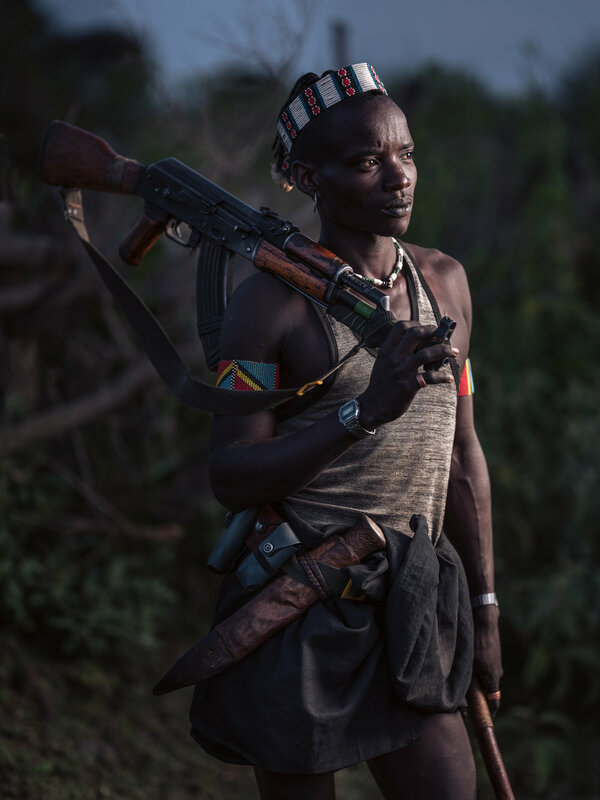 After an intensive scouting trip at the end of 2018, Matt Brandon and yours truly are happy to announce the 2019 edition of the Omo Valley Portraits Location Lighting and Portraiture Masterclass, in collaboration with Starling Travel Agency. 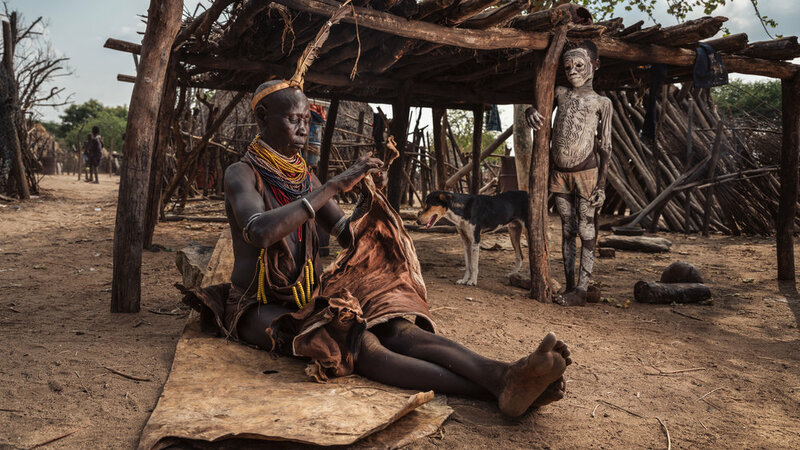 Ethiopia’s Omo Valley is considered by some to be the cradle of mankind. With its beautiful landscape and highly photogenic people, the region is a paradise for photographers. But even the best locations and most interesting subjects are not enough to create amazing portraits. There are other factors that come into play and the biggest of them all is lighting. Have you ever tried to take a portrait of someone in the harsh midday sun? Then you know that this doesn’t lead to very flattering images. 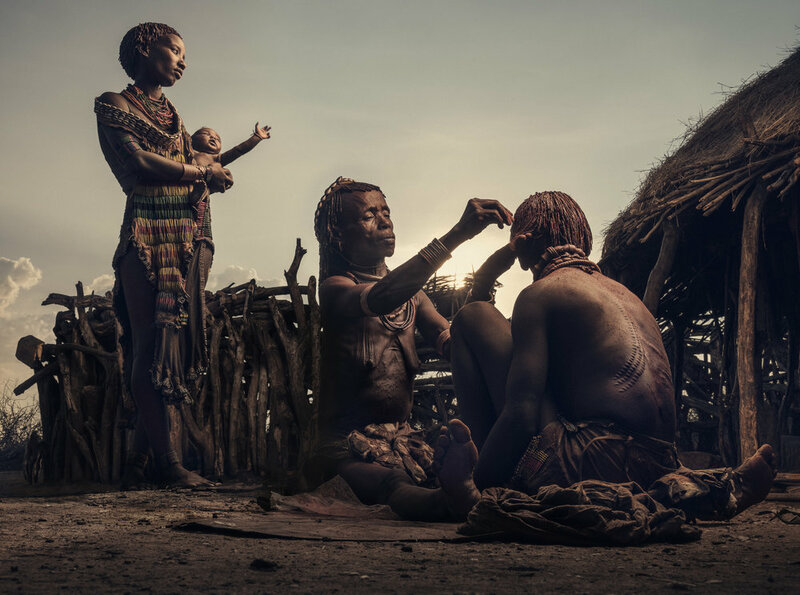 In this Omo Valley Portraits Workshop, we will spend a large amount of time working with available light, sculpted light and the combination of both. This workshop will help you overcome any fears for artificial light you might have and will let you use it as another exciting tool in your photographic toolbox. Below are some examples of the types of images you can expect to be adding to your portfolio over the course of this intensive but ever so rewarding workshop, which will be held from October 25 to November 3, 2019, under the guidance of two professional photographers. This is an international photo workshop led by two instructors: Matt Brandon and Piet Van den Eynde. 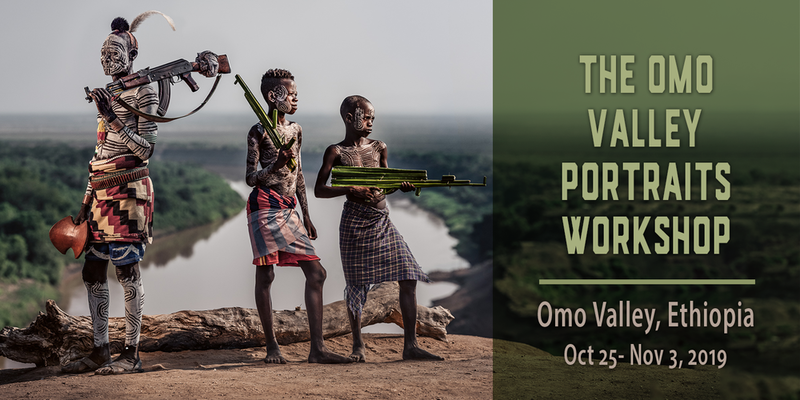 Both have a passion for travel and their combined photographic strengths make this Omo Valley Portraits Workshop a unique experience. The main language of this workshop will be English, but Piet also speaks Dutch and French. Most of all though, throughout this workshop we will all speak the universal language of light! ... we'll show you how to create striking environmental portraits like these. In 2009, Piet threw his camera, a flash and an umbrella in his bicycle panniers and cycled 5000 miles through Asia. Piet will be teaching off-camera lighting skills as well as Lightroom processing on this workshop. Matt Brandon (www.thedigitaltrekker.com) is a Malaysia based humanitarian and travel photographer, who collaborates with NGOs to tell their stories and to train their field staff to do the same. Well known as a photographer and international workshop instructor, Matt’s images have been used by clients such as National Geographic Traveller, Asian Geographic, the BBC, Honda Motor Corporation, and Bombardier Transport Corporation, KLM Airlines and others. His photographic pursuits have taken him to the countries of Egypt, Tibet, India, Indonesia, Thailand, Maldives, Philippines, Malaysia to name a few. Matt is a Fujifilm X-Photographer for Malaysia. ‘Shoot what it feels like, not what it looks like’. This great quote by Magnum photographer David Alan Harvey is also applicable to the postprocessing of your images: ‘Edit them what they feel like, not what it looks like.’ Color grading or adding a specific mood to your images is an important step in creating the final image. Piet will show you the techniques he uses to finish off his images with Lightroom Develop Presets and Creative Profiles. He’ll also show you how it’s the little tweaks like Dodging & Burning that can turn an image from ‘good’ to ‘great’. In Lightroom, I took them up some more using the Shadows slider and added some warmth. This will be your international travel day. Depending on where you live, you will use this day to travel and make sure you arrive in Addis Abeba in the early morning of October 26. For Belgian and Dutch participants this means that you will probably be taking an evening flight on October 25. Please note that, due to the international nature of the group, international airplane tickets are not included in the price of the workshop. However, Starling Travels, who run the logistics of this workshop, can assist you with finding suitable airplane tickets or you can consult with your local travel agent. Depending on the airline, we will generally arrive early in the morning in Ethiopia’s international airport in Addis Abeba. Later that day, we will take an internal flight (included in the programme) to Arba Minch. From there, we’ll hop into the Land Cruisers for a two hour drive to Konso. Depending on our schedule, we might already stop along the way to make our first portraits of passers-by. We’ll check in to the comfortable rooms of our lodge and enjoy some hard-earned rest. In the evening, we’ll have a nice dinner. As a nice antidote to the travel of the past days, this day will be relatively travel-free. Guided by our local Guide Kousé, who is Konso himself, we’ll go into the village and make portraits of people of the Konso-tribe. We’ll overnight again in the comfortable rooms of the Konso ecolodge. We will descend into the valley and enter the region where the Banni tribe lives. Along the way, we’ll stop for some improvised photo shoots. By evening fall, we’ll arrive in our lodge and have dinner in a fun restaurant in the small town of Jinka. Today is an early riser! But one with tremendous photographic opportunities. After a drive through Mago National Park, we’ll arrive in the first Mursi village. 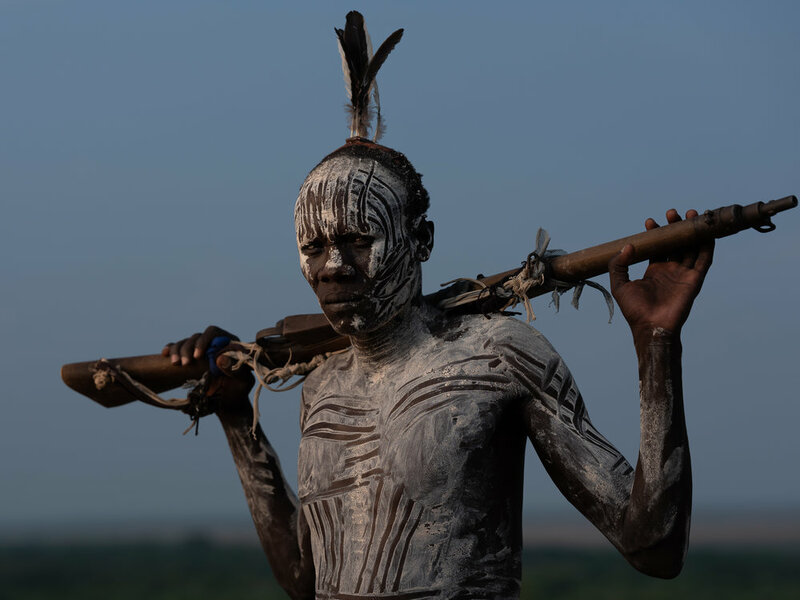 The Mursi tribe is famous for the lip plates the women wear. 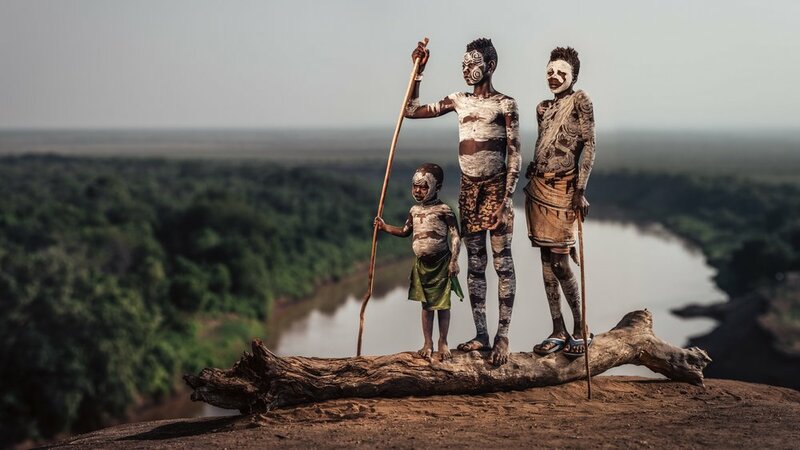 This tribe also has its own patterns of paint they apply to their bodies. This is going to be one impressive day! We continue our journey by Land Cruiser to the village of Turmi. Along the way, we’re continuously on the lookout for interesting photo opportunities. If possible, we might visit a local market. We’ll have lunch with a Hamar family and then we’ll visit and photograph the village. Their beautiful attire and hairstyle - this tribe covers the hair with red clay - will give us some more incredible photo-opportunities. As I say in the video at the top of this page: the Hamar people are without a doubt the most beautiful people I’ve ever had the honour of photographing. Today, we’ll visit two villages of yet another tribe: the Karo people. One of the tribes lives right at the highly photogenic cliff above the Omo river. It’s one of the most impressive backgrounds I’ve ever experienced during my travels. Alas, today is already our last photography day but don’t fret. First of all, by now you should have already some truly fantastic images on your cards (don’t forget to back them up!). 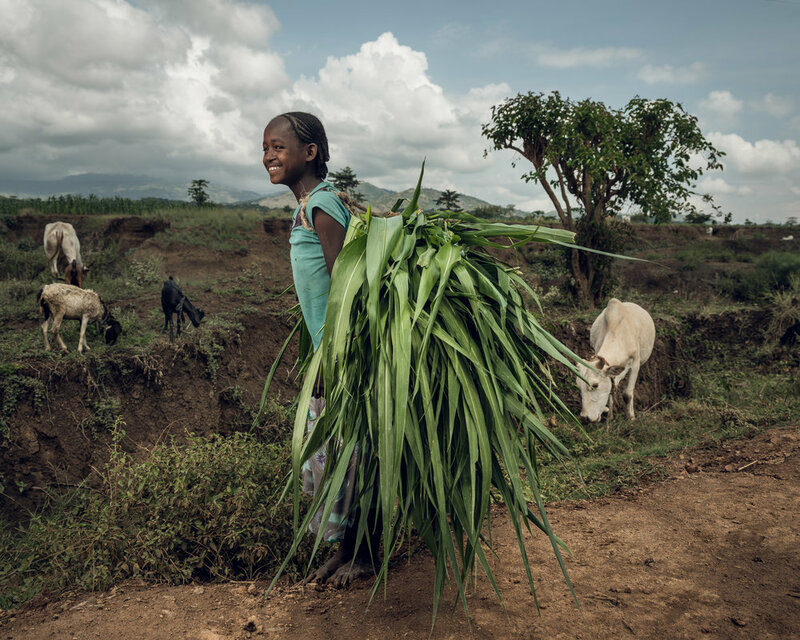 Secondly, we’ll visit two more Hamar villages that are close to our comfortable lodge. So you’ll be able to put all the ideas and techniques you learned during these past days into practice once more and hopefully be rewarded with some more stunning shots. Today, we rise early to go by car to Arba Minch, from where we take the return flight to Addis Abeba. Because the international flights back home generally only leave in the middle of the night, we’ve booked you a hotel near to the airport in which you can maybe start working on some images or simply relax for a couple of hours. Most international flights will leave from Addis Abeba very late on November 2 or very early in the morning on November 3. So, this is the time when you fly back home with a card full of photographic memories. Please note that, due to the international nature of the group, international airplane tickets are not included in the price of the workshop. However, Starling Travels, who run the logistics of this workshop, can assist you with finding suitable airplane tickets or you can consult with your local travel agent. * We don't want to give you a minute-by-minute schedule because first of all, that's simply not possible and it also wouldn't be much fun, would it? While we plan to see most of the sights on this itinerary (and probably some more), sometimes things might not go according to schedule, both in terms of places or people visited and the days we do so. The beauty is that the alternative provided might sometimes be even better than the original plan! Also know that some of the best shots just happen in between scheduled shoots. Such is the nature of travel photography! The images above hopefully show that there will be no lack of photo opportunities, interesting subjects, backgrounds, and teaching. After all, this is a workshop and not just a photo tour. For those interested, we will schedule a class on composition and postprocessing. In this image, quickly taken in five minutes time, I had to bring up the shadows and use some Dodging & Burning to better emphasize certain parts of the image while downplaying other areas. All edits done in Lightroom. If you’re not using Lightroom, we speak Camera Raw, Capture One, Luminar and Alien Skin Exposure, too! While most travel photography workshops in general and the Ethiopia ones in particular have an 8:1 or even a 10:1 guest:instructor ratio, we have purposely limited the number of participants on this trip to only eight (minimum number of participants: seven). With two instructors, this makes for an incredible 4:1 guest:instructor ratio. Therefore, we expect this workshop to sell out quickly. We regret that we cannot hold spaces: all eight spots will be assigned on a first come, first served basis. This workshop is open to all levels of photographers using mirrorless or DSLR-style cameras who know the basics about operating their cameras. The price for this portfolio-altering experience is € XXXX (this roughly corresponds to $ XXXX. What’s included: Just about everything once you set foot on Ethiopian ground. Registrations are open now. Belgian and Dutch participants can book directly through the workshop page on the Starling website via this link. English-speaking participants: as the English Starling website is under revision for the moment, you can reserve your spot through the form below. If you have any additional questions, don't hesitate to contact us using the contact form! No, I will look into this myself (please do not buy international travel until we have confirmed the workshop). I I hereby reserve the above-mentioned number of spots and agree to pay the 30 percent deposit within a week of sending this form by international bank transfer (full details will be sent after the registration has been received). I agree to the Terms & Conditions listed below this form. Thank you for reserving your spot. We’ll be in touch soon! Please find the General Terms and Conditions of this workshop’s Tour Operator, Starling, here. All images on this page are © Piet Van den Eynde, except for some behind-the-scenes images that are © Matt Brandon. Although there will of course be plenty of in-the-field experiences with flash, if you already want to brush up on your flash photography skills before the workshop, may I suggest my eBook Light It Up? It’s full of real-life examples, a lot of which were made in travel situations.